Robert Schumann (08.06.1810 – 29.07.1856) is widely regarded as one of the greatest composers of the Romantic era. 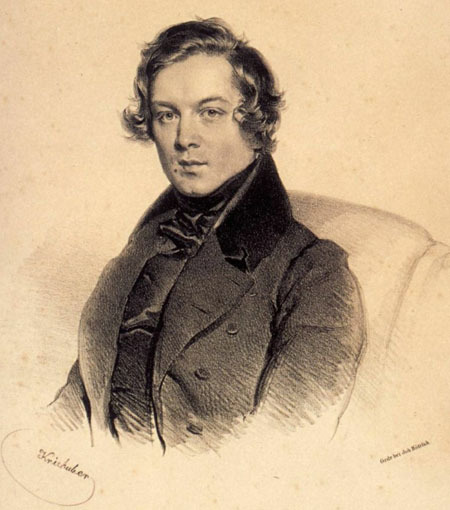 Schumann was the quintessential artist whose life and work embodies the notion of Romanticism in music. Schumann was not particularly comfortable with large forms but nonetheless composed four enjoyable symphonies, a cello concerto and a wonderful piano concerto. It was through his songs and short pieces for the piano that he was truly able to express the full range of his lyrical genius. His song cycle Dichterliebe, Op. 48 and his piano pieces Kinderszenen, Op. 15, Kinderszenen, Op. 15 and Waldszenen, Op. 82 are brilliant examples of this. Schumann’s Piano Concerto in A minor, Op. 54 is a work in which he fused piano and orchestra in quite a unique way. This is not a virtuoso showcase for the soloist with the orchestra playing a bit part. Here the soloist (whose part is more taxing than it sounds) interweaves with the orchestra in a manner not previously heard. Listening to this three movement work it is hard to believe that it began life in 1841 as a single movement fantasy. The second and third movements were written some four years later when Schumann was persuaded that a larger work would be more likely to find a publisher! 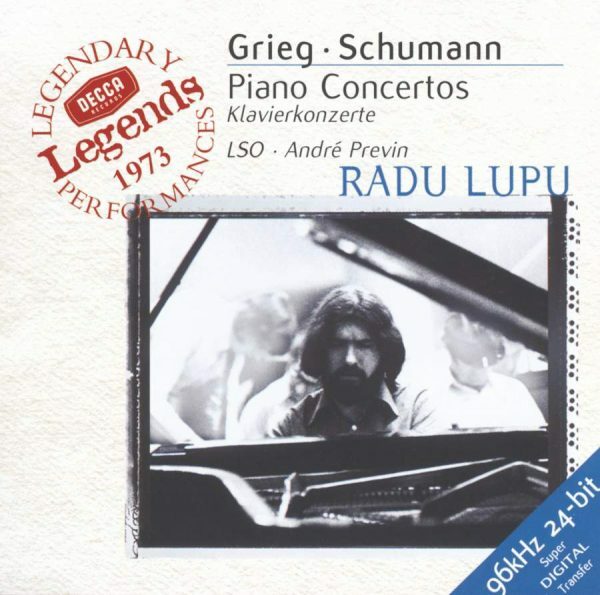 We have chosen a remarkable performance of this work by a pianist who is less well-known than he should be, Radu Lupu. He performs the work with the London Symphony Orchestra conducted by André Previn in a recording dating back to the 1970s. In its latest re-mastered offering the sound quality is now much more on a par with the outstanding performance.